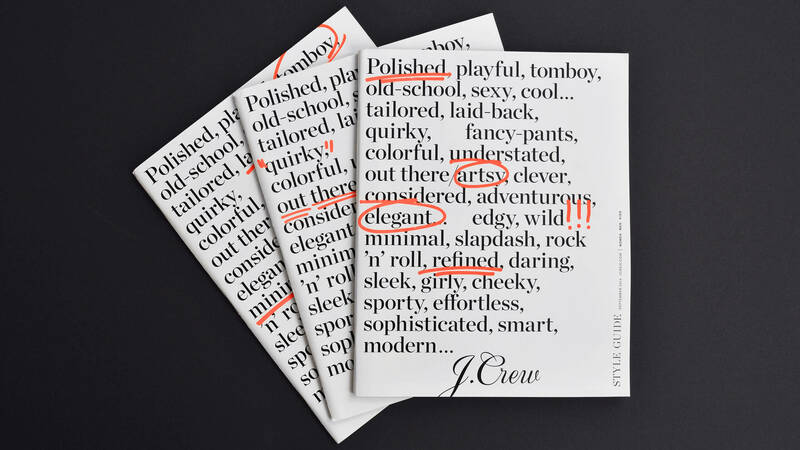 We worked with J.Crew under the art direction of Johanna Langford and Naomi Azuma to produce various marketing collateral, including the September 2014 catalog cover, event design for a CFDA/Vogue party, and holiday cards for Paperless Post. 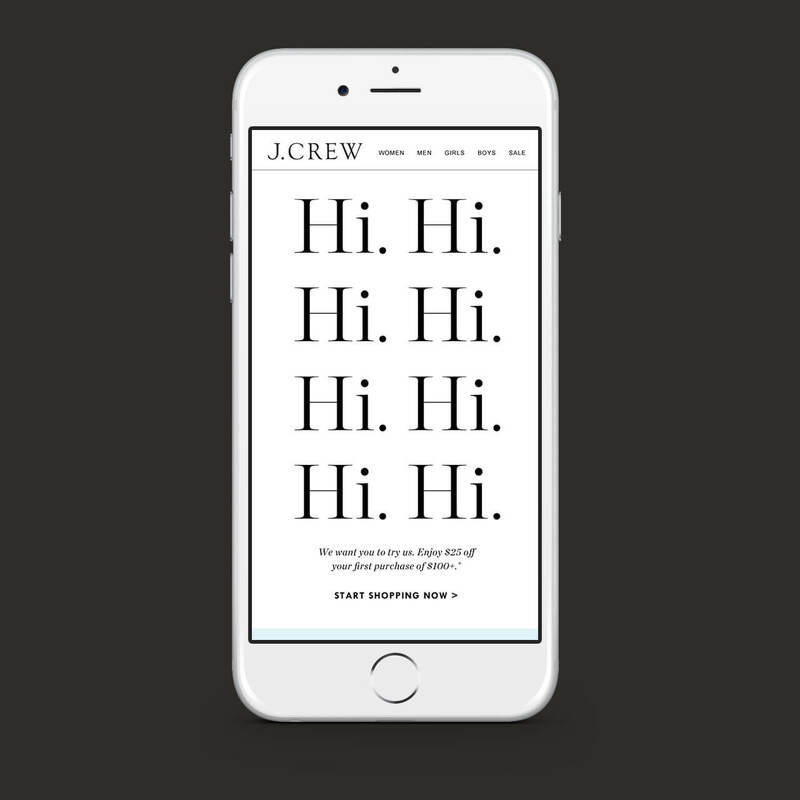 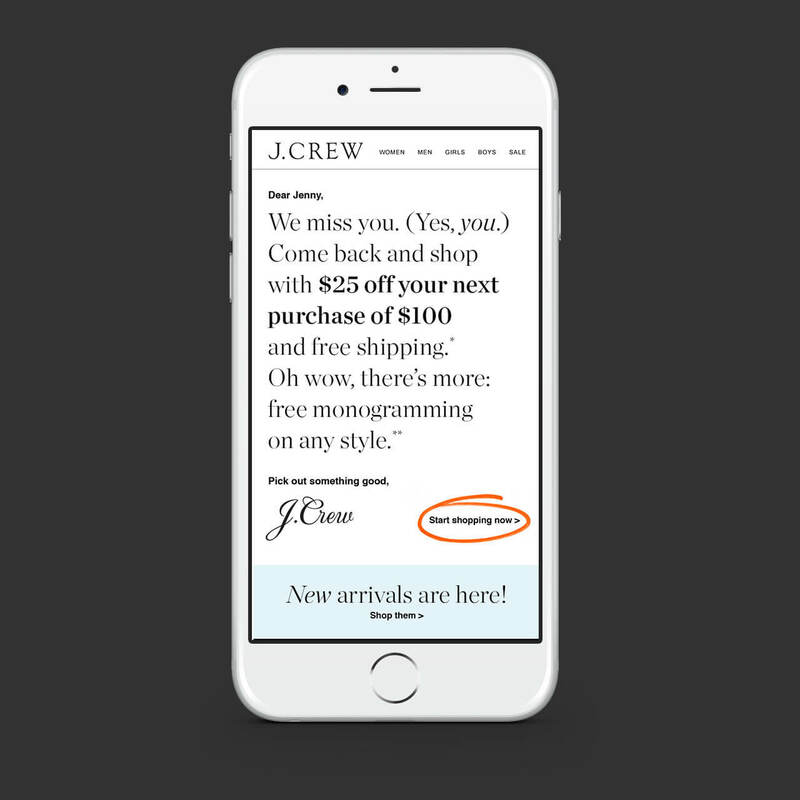 We held the role of lead designer on a new triggered email initiative for J.Crew, J.Crew Factory, and Madewell. 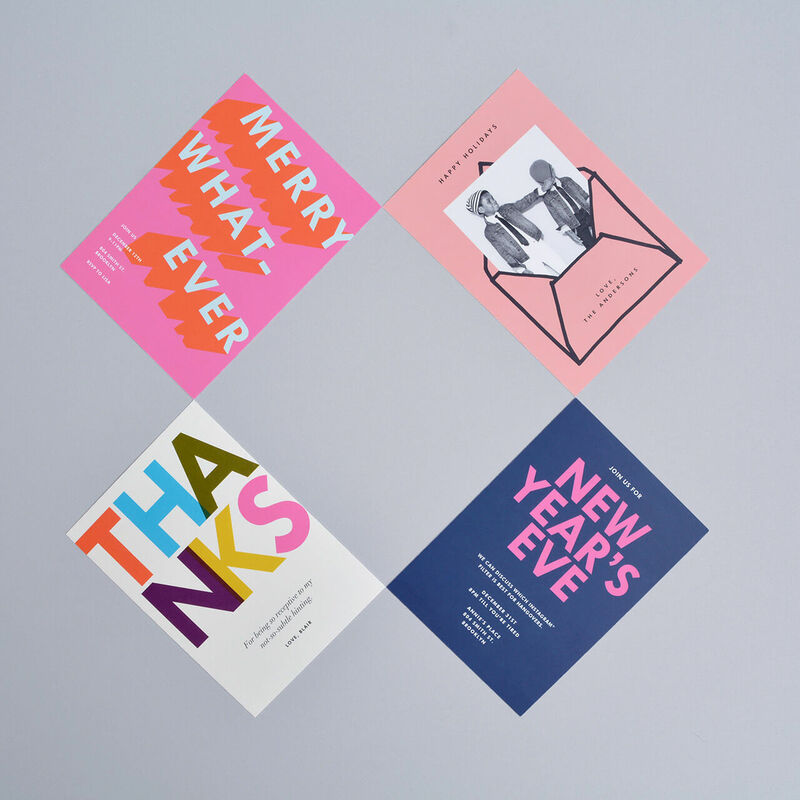 The emails targeted lapsed customers and re-engaged them with the brand through clever layout and cheeky copywriting. 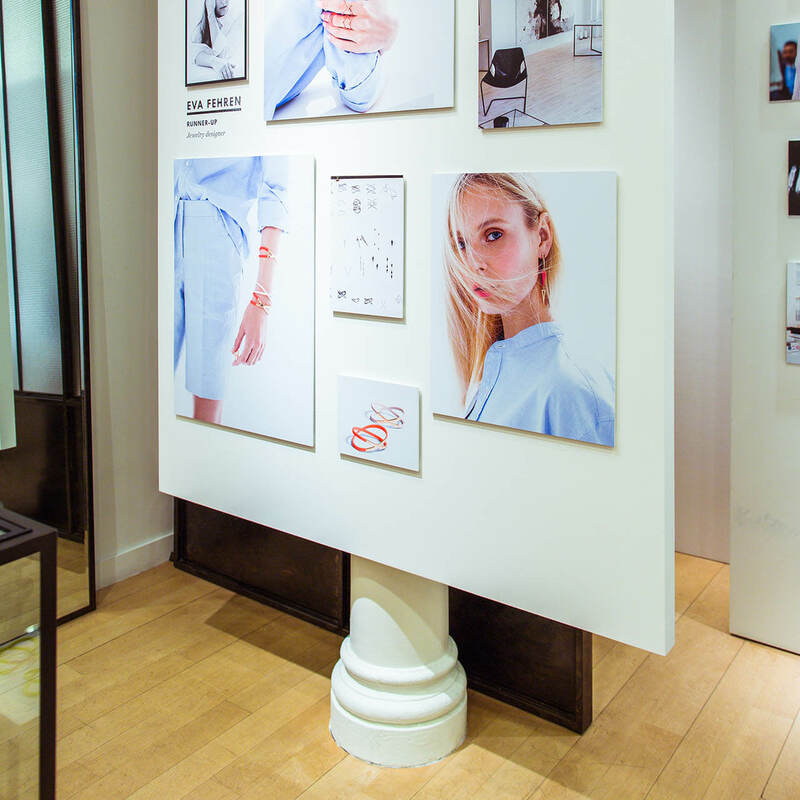 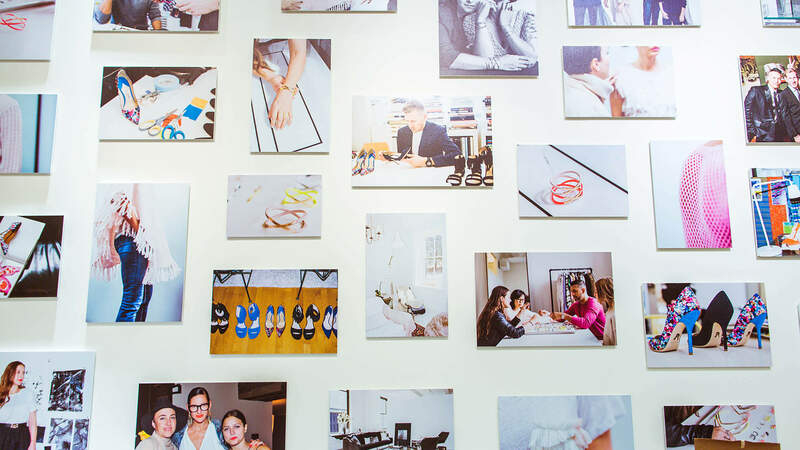 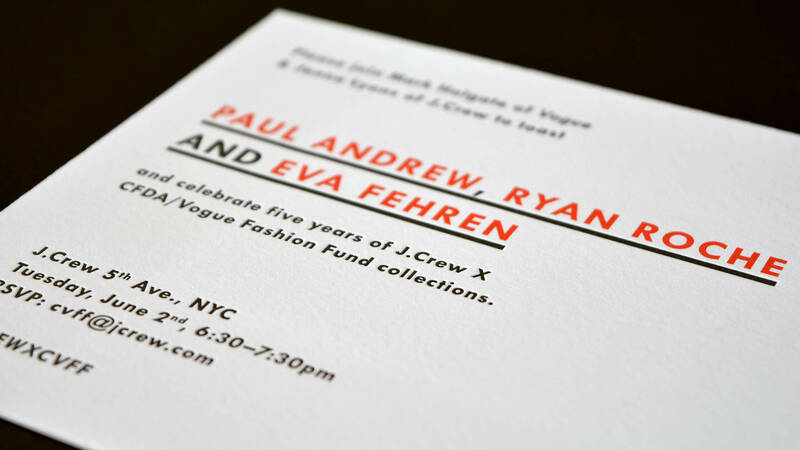 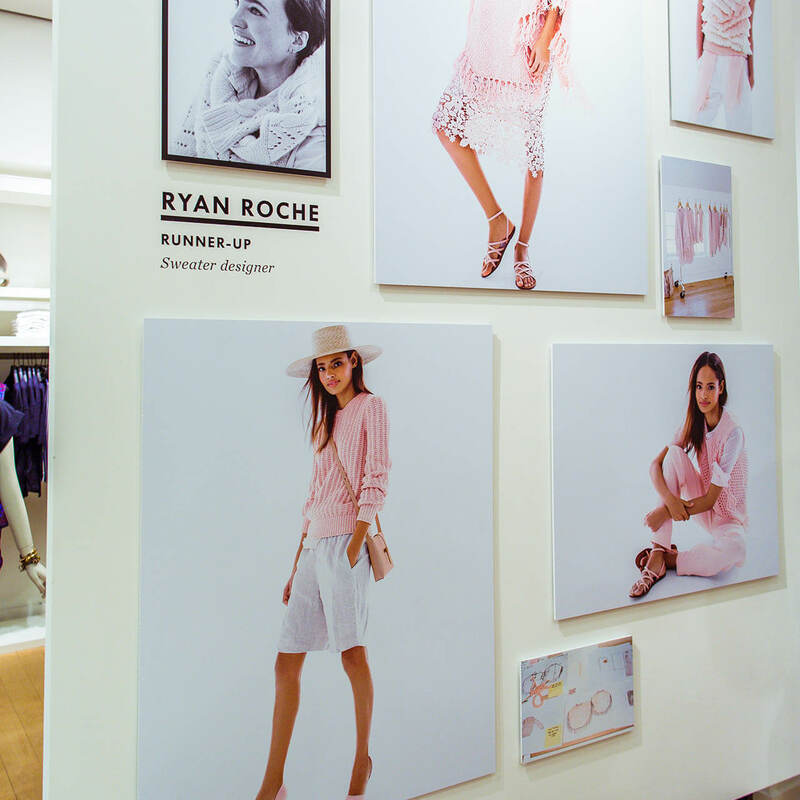 We also lead the design for a CFDA/Vogue party at J.Crew’s 5th Avenue store, creating a letterpressed invitation, floor decals, and various event signage. 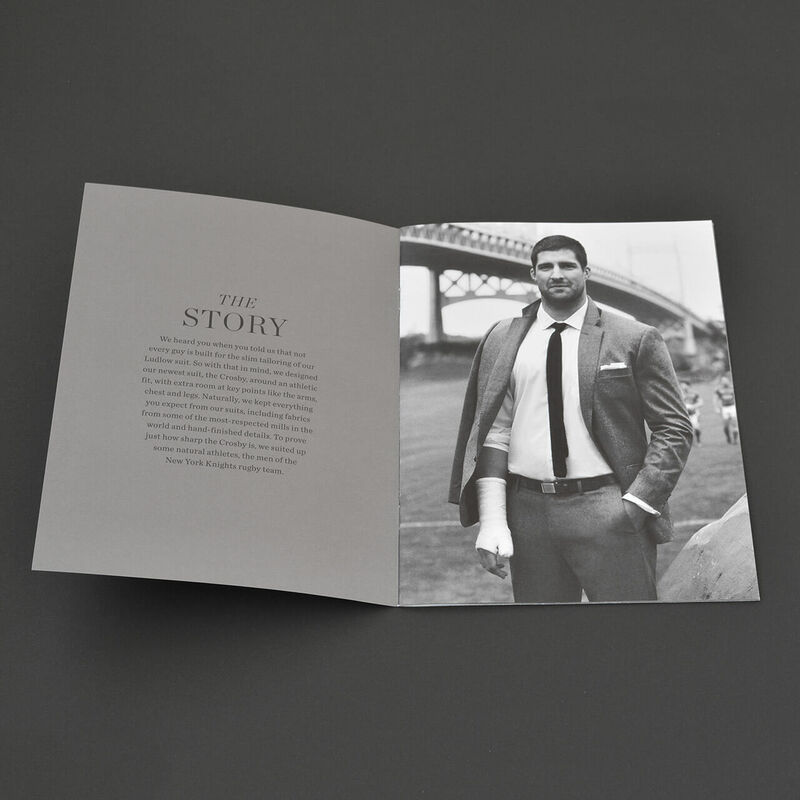 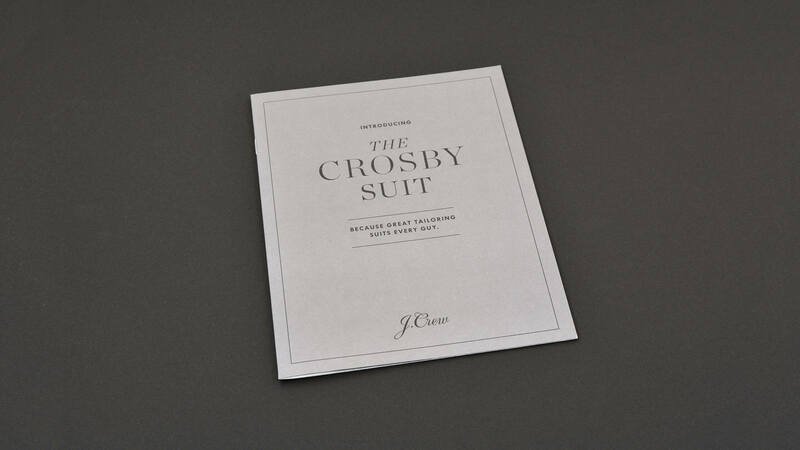 When J.Crew launched the new Crosby suit, we created a marketing booklet to tell its story. 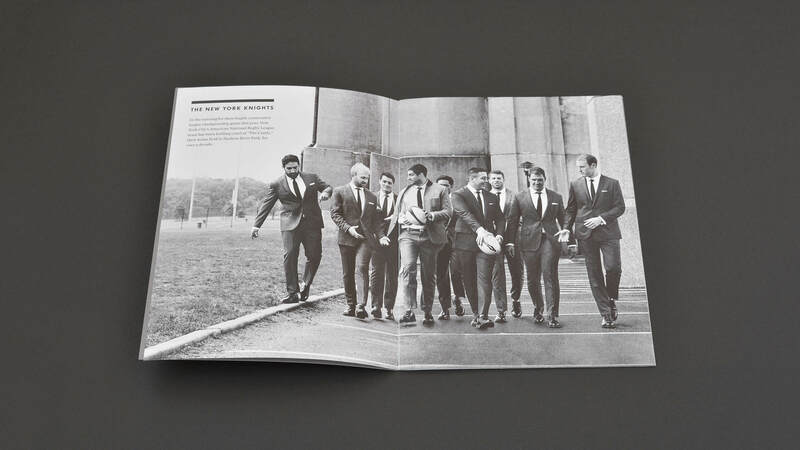 The booklet highlights the unique features of the suit, as well as information about the fabric mills, and can be found wherever Crosby suits are sold. 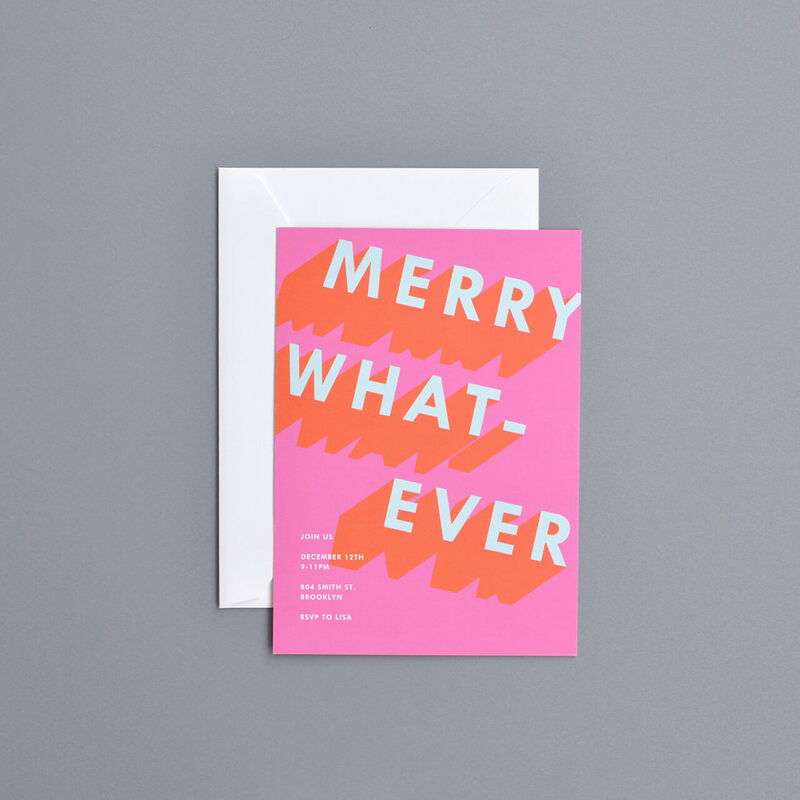 In collaboration with Paperless Post, we designed a set of customizable holiday cards for J.Crew’s designer collection. 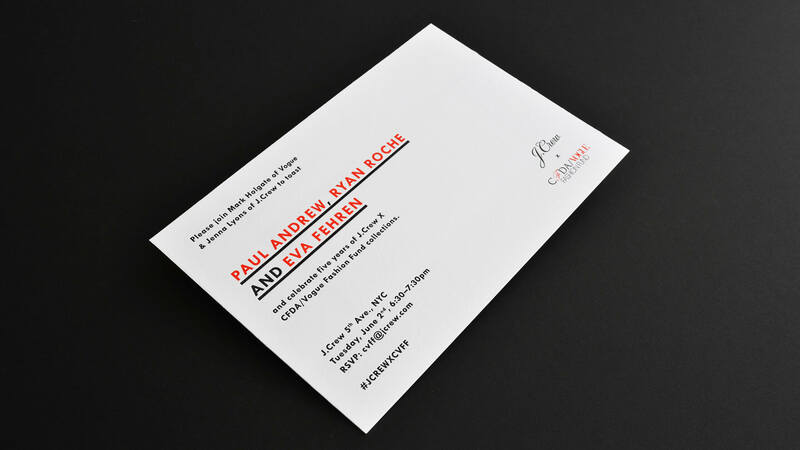 These cards could be purchased by Paperless Post customers during the 2014 holiday season, and were available both digitally and printed.